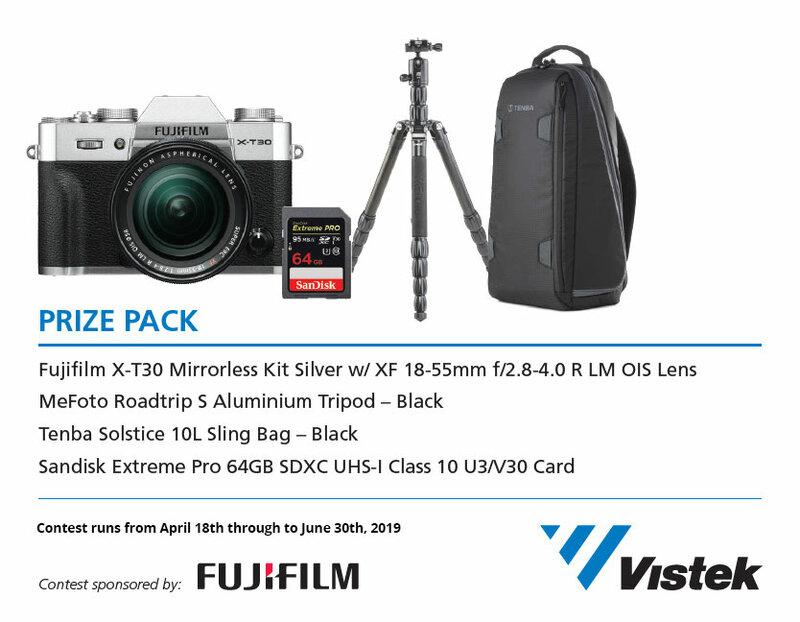 Enter Vistek’s Annual Celebrate Photography ENews Giveaway Contest for your chance to win a new Fujifilm X-T30 prize pack valued at more than $2,000. This contest is open to all active Vistek Weekly Enews subscribers - new and old - all you have to do is sign up below and you’re automatically entered to win! NOTE: You must provide a valid email address to enter this contest. By entering this contest you are subscribing to Vistek Weekly eNews.